Each class begins with a warm up and stretch, which is vitally important for the cardio vascular system to energise the body and warm the joints in preparation for the karate class! This also reduces any risk of injury! 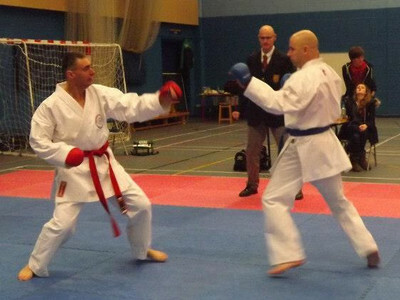 Competition sparring, brings together all the elements learned from the basic techniques and kata. This is the arena in which there are no predetermined moves and you are free to express yourself, with the aim of defeating your opponent, by scoring more points, in a controlled semi-contact contest. The foundation, or cornerstone from which all karate is developed. 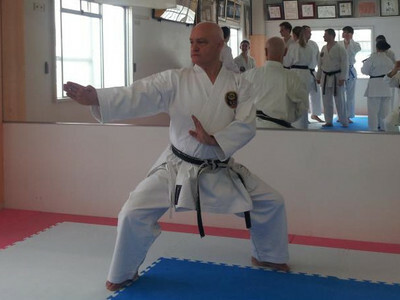 This is the discipline which develops timing balance, coordination, technique, footwork, self discipline, and last but by no means least focus and concentration from start to finish(Zanshin). 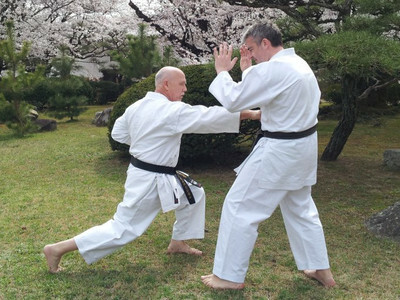 This is the discipline in which we use a combination of all the other disciplines to provide our students with the tools to protect themselves against 'would be attackers' in the world outside of the karate dojo(hall).